Clients are often frustrated by delivering applications that fail to satisfy customer expectations, which usually occurs because needs and requirements were not adequately understood and captured prior to execution. Successful project outcomes are founded in the ability to identify, articulate, and mutually agree upon the end result before beginning. Our expertise with delivering requirements in both Agile and Waterfall environments allows us to tailor our process to fit the customer’s need. 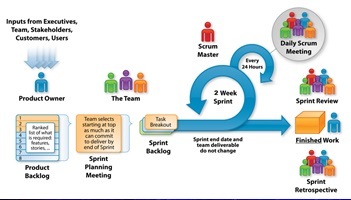 When using an Agile development methodology, Genova’s engineers lead and participate in planning activities such as sprint planning, backlog grooming, creating user stories, and estimating story points. Genova also participates in release planning to help define features to be implemented in upcoming sprints. Genova’s Waterfall requirement analysis methodology creates a functional specification that captures and qualifies all customer requirements, while effectively eliminating costly, "gold-plated" features. This comprehensive process allows customers to agree upon an optimal outcome and track progress from the requirement document: through development, documentation, testing, and release. This proven methodology helps eliminate scope creep, reduces risks, and provides customer control over costs, consistently delivering projects on-time, on-budget, and on-spec.